The Rachleff Lectures, named for Penn Trustee and Engineering Overseer Andrew Rachleff, were established to inspire engineering students to pursue innovation and invention. The series brings highly successful engineers to campus to discuss the joy of designing compelling products. 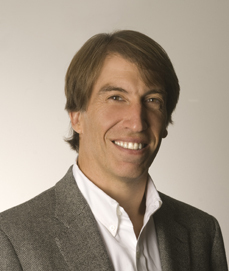 President and CEO, Wealthfront, Inc.
Andrew Rachleff co-founded Benchmark Capital, a venture firm, in 1995 and served as a general partner until 2004. Prior to his ten years as a general partner at Benchmark Capital, Mr. Rachleff spent ten years as a general partner with Merrill, Pickard, Anderson and Eyre (MPAE). Before joining MPAE, he held a variety of positions in the investment industry, working as an associate at Harvest Ventures; as a portfolio manager at Lamoreaux, Glynn and Associates; and as a financial analyst at Blyth Eastman Paine Webber. Since the raising of Benchmark’s latest US fund, he has reduced his role to solely focus on his existing portfolio companies. With his free time, Mr. Rachleff serves as a lecturer in entrepreneurship at the Stanford Graduate School of Business. Mr. Rachleff is a former Chair of the Penn Engineering Board of Overseers (2008-2017) and also serves as a member of the Board of Trustees of the University of Pennsylvania.